Cash flow is important in the lifespan of any business, but one of the key things to understand is that it's about more than just "money in versus money out." It's a valuable look into the bigger picture of what you're doing, and by having a handle on this aspect of your finances, you can take advantage of business opportunities when they arise. 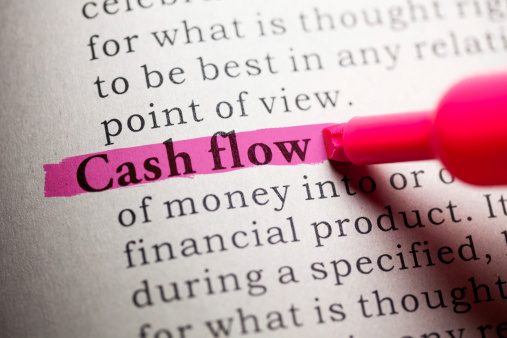 First, you need to understand how every element of your business relates to this cash flow concept, including marketing. To that point, marketing has a very specific relationship with cash flow that you're going to need to be aware of moving forward. Yes, it's true that marketing costs can often seem unpredictable. However, working hard to hone your marketing budget can make these unexpected situations easier to deal with. To get started, sit down and think about your upcoming marketing efforts in relation to your other expected cash inflows and outflows. You can't afford to throw just anything at the wall to see what sticks; you have to be more precise than that. Create a realistic marketing budget (that includes room for experimentation if needed) that is proportional to the rest of your expected business expenses and revenue streams. What matters most? Return on investment. For this, focus on the metrics that provide you the context necessary to understand your marketing efforts. Essentially, stop thinking about marketing ROI as just "how many sales did that last campaign bring in?" and don't be afraid to break things down on a more granular level. Start looking at metrics like your customer acquisition cost. If one of your campaigns was aimed at increasing more traffic to your website, start breaking things down based on metrics like "time spent on site" and "conversion rate." It's important to know how your marketing collateral is performing in terms of overall sales and revenues, but in terms of your cash flow you need to dive deeper than that. As long as you're able to A) show that your marketing is giving you something in return, and B) you can identify exactly what that something is and when it occurs, you know where the value of every marketing dollar rests. This, in turn, will give you the context necessary to understand marketing's affect on cash flow and vice versa. When you know that "X action will pay off in Y way after Z amount of time," you suddenly know the impact that every marketing decision you make actually has and when that impact is going to occur. This makes long-term cash flow projections not only easier to make but more accurate as well.